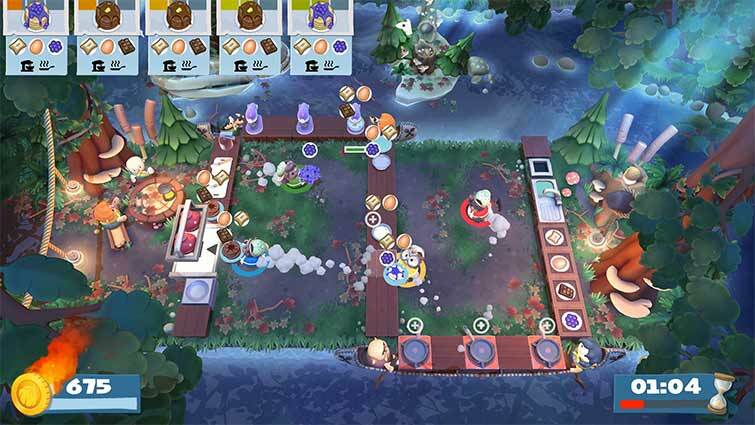 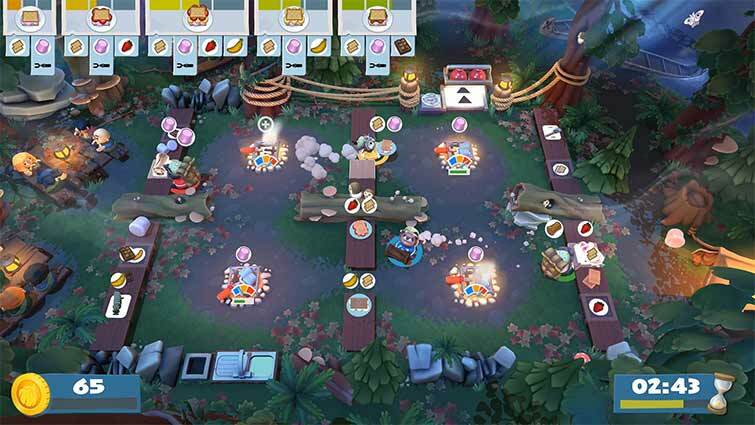 Gather round the campfire for S’More Overcooked 2! 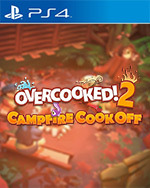 It’s time for some camping capers as you take a trek through the forests of the Onion Kingdom. 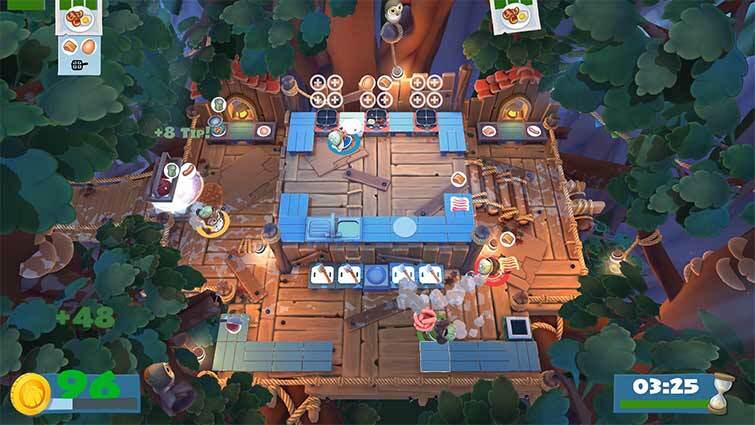 Joining Kevin and the Onion King are 4 new chefs that are right at home in the woodland kitchens Scout Chef, Bear Chef, Beaver Chef and the bespectacled Owl Chef. 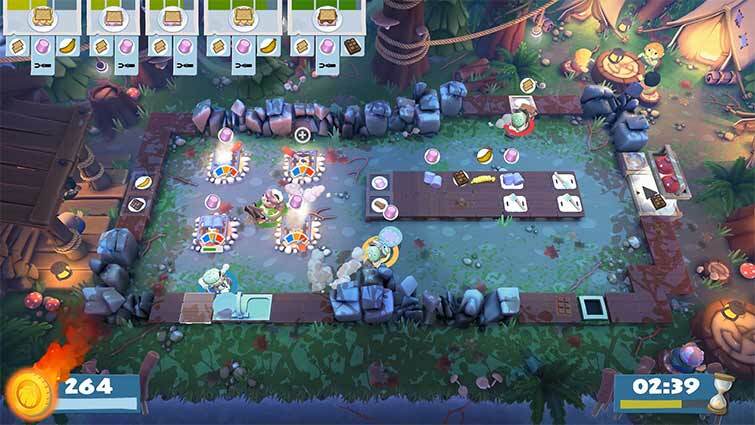 You’ll need to chop wood to keep the fires burning as you fry up a hearty breakfast, or toast tasty S’mores across 15 new levels set amongst tree-tops and campsites. 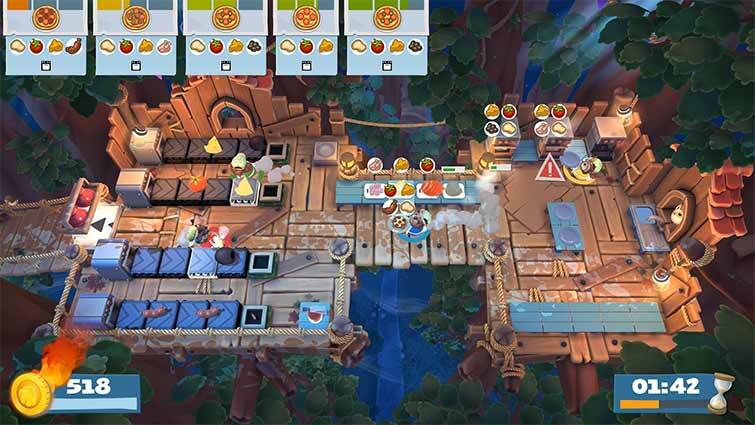 Fresh levels of co-operation will be needed for the new wearable backpacks that hold the ingredients the team of chefs need to serve the hungry campers.